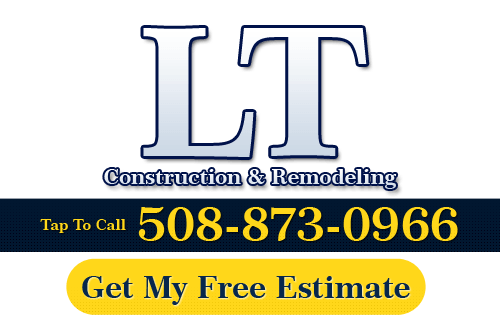 At LT Construction & Remodeling, our Worcester remodeling contractors understand that every local property owner has unique needs. As such, we strive to be the most versatile home improvement contractors in the area. We have been in the home improvement industry for over ten years. During this time, we have handled a number of odd jobs and have developed a wide range of experience and skills. If you have any home improvement needs in Worcester, the chances are that our remodeling contractors have the ability to help. Call us today if you have any home improvement project that needs doing in Worcester. Our courteous and polite staff will be happy to discuss your unique situation with you. After our consultation, we will provide you with information as to how our remodeling contractors can help your project become a reality. We would be glad to answer any questions that you may have and to schedule your appointment today. If you have any home improvement project that you are considering for the exterior of your property, our remodeling contractors have the ability to help. Because we are so vastly experienced in the residential construction industry, we have the skills necessary to construct entire room additions for your Worcester home. These skills transfer themselves well to a wide range of projects including fencing, decks, pergolas, outbuildings, wood shops, storage areas and more. Our home improvement contractors can help you with all of your unique outdoor construction needs. The only constant in all of our services is our focus to provide you with the most customized home improvement services possible. No matter what your needs are, we can help. No matter what your remodeling goals are, we can achieve them. In addition to being proficient at exterior home improvement tasks, our Worcester remodeling contractors can help you with all of your unique interior home improvement projects. We are adept at remodeling the entire interior of your Worcester property. As such, if you need any flooring, cabinet, countertop, backsplash, or other fixture repair or replacement services, our interior home improvement team can help. If you are considering renovating any portion of your Worcester residence, our interior home improvement contractors have the knowledge, skills, and experience necessary to get the job done correctly the first time around. If you have any unique project in mind, call us today. Our remodeling contractors are always excited to apply our vast skill set to something new. We guarantee that you will be completely satisfied with our interior home improvement services. If you need to hire a professional home improvement contractor in Massachusetts, call LT Construction & Remodeling at 508-873-0966, or complete our online request form.